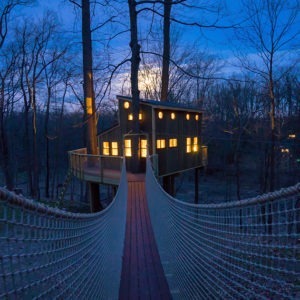 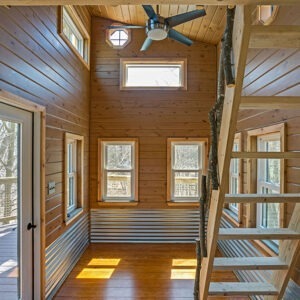 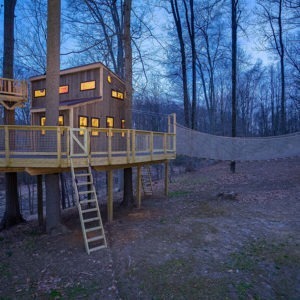 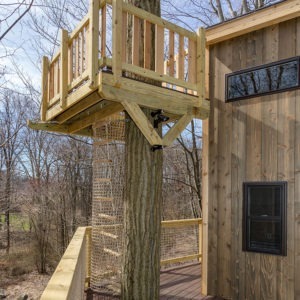 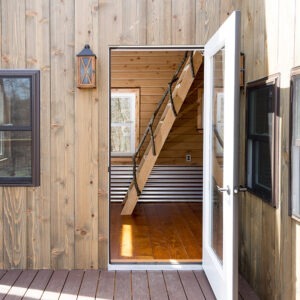 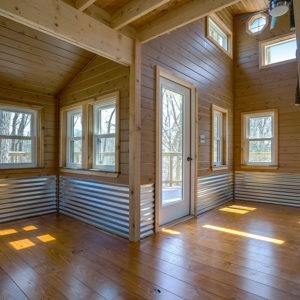 Nestled on a 15-acre private property in the quaint town Lamberstville, New Jersey, this stunning treehouse combines a playful, practical, minimalist, and rustic style. 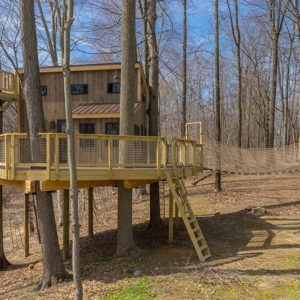 It’s a dream come true for family members and house guests as they take in a bird’s eye view while enjoying a glass of wine or listen to the leaves rustling or joyous laughter of a kids sleepover. 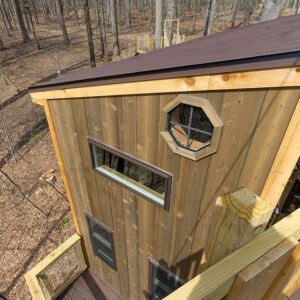 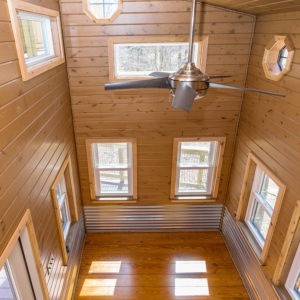 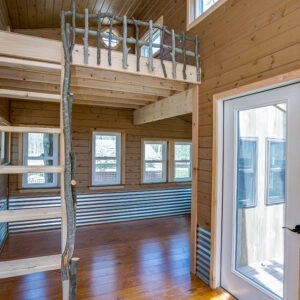 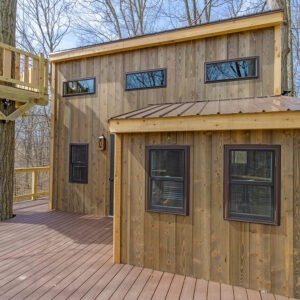 The treehouse features a large finished house with cedar post loft area, several large windows and a glass door to allow lots of fresh air and natural light. 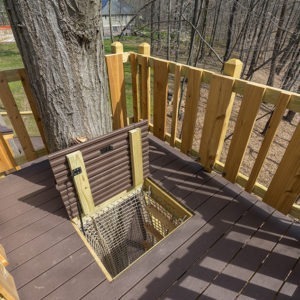 A Crows Nest with rope ladder and trap door access adds to the splendor of being high up in the trees. 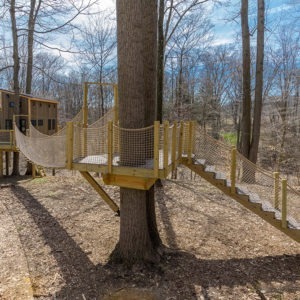 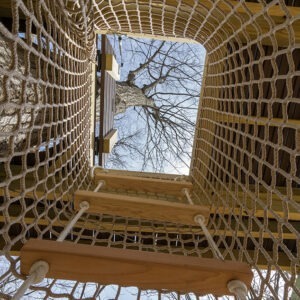 A 24 x 24-foot deck surrounds the house, and a rope bridge runs from the treehouse to an octagonal platform on a nearby tree.